As part of its new rights deal with MLB Advanced Media, NHL’s network began life anew this week, in Secaucus, New Jersey. Now, when most fans think hockey, they don’t think Secaucus. 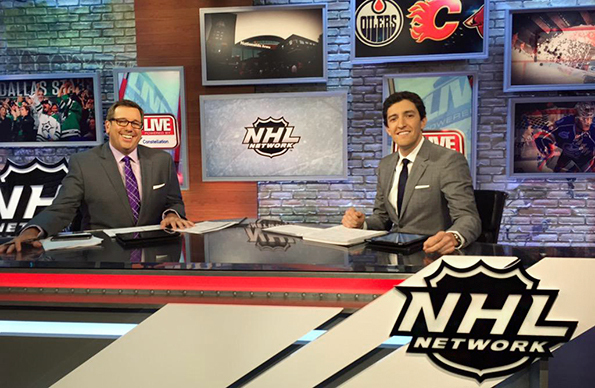 Most fans have perceptions of cold weather and Canada, which is where the NHL Network was based until its relaunch with MLBAM under control of its operations. 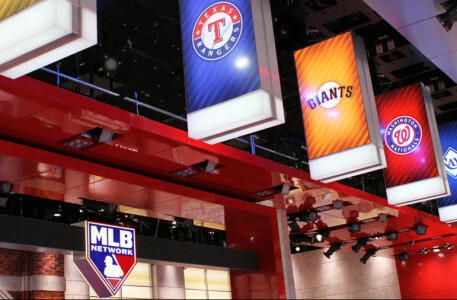 The network now broadcasts from the home of baseball, and the former home of MSNBC. 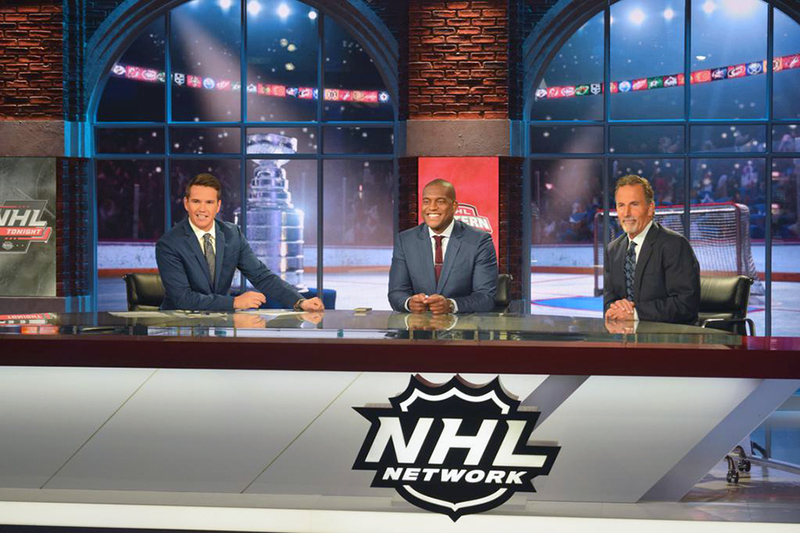 With MLB entering the postseason, and the puck just dropping on the NHL season, the two networks can share resources and studios. 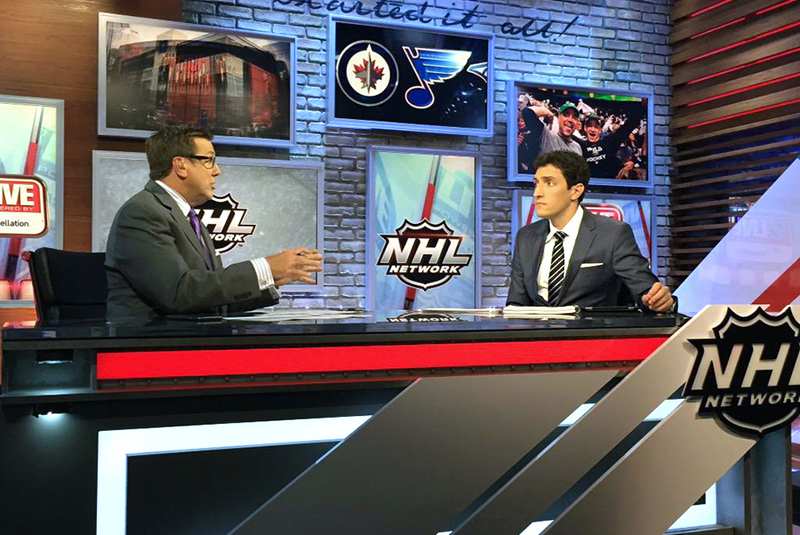 NHL Network, so far, has mostly used Studio K and Studio 21, with some branding updates (you know, to hide the baseballs). Both studios were designed by Clickspring Design. 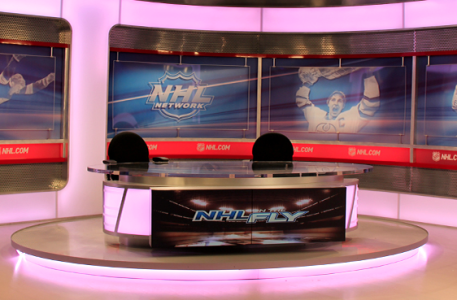 In Studio 21, the main desk has been positioned near the arches, with a large NHL Network logo added. In the arches, the graphics have been updated to include the Stanley Cup and a scene from inside a hockey stadium. The set’s lighting design also seems a bit more dramatic, echoing the inside of a hockey arena. Studio K, which was originally built for “Hot Stove” in a converted mailroom, has seen many updates, including new graphics on the wall, angled elements on the desk and updated lighting. Operationally, the space sharing makes a lot of sense, as MLB wraps up in early October, when NHL begins. So, the networks wraparound programs don’t conflict too much, in terms of live games. 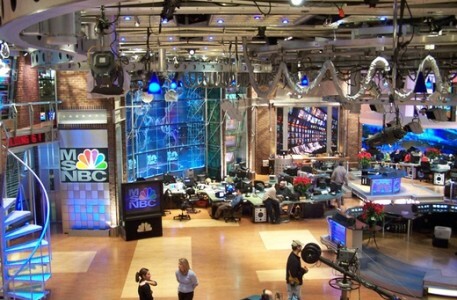 Plus, studios are now much more flexible, as they rely heavily on color changing backlit panels and monitor walls, which can easily be rebranded for different shows (or in this case, networks).